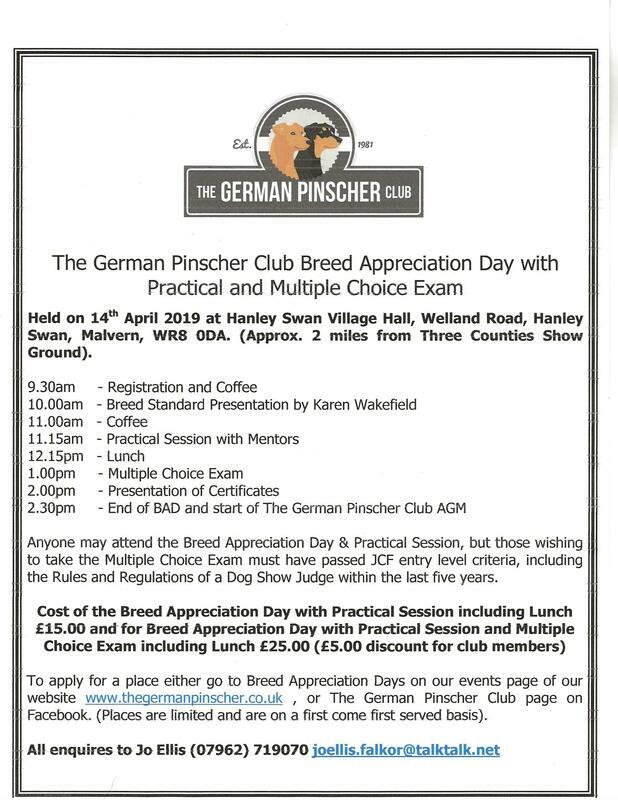 Our club holds breed appreciation days to encourage owners, handlers, breeders, stewards and aspiring judges to focus on the specifics of our rare breed. Our subjects vary however the emphasis is always on developing the knowledge of our rare breed with a hands on approach. ​We are proud to announce that our Breed Appreciation Day for 2019 is open for applications, the full details of which are detailed below. To apply you will need to submit your application by clicking on the link button. We look forward to welcoming you to an informative day with speaker Karen Wakefield (Breed Standard) and Mentors Donald & Heather Smith, Raye Parry & Richard Kinsey (Practical).